**Please note that the books are not included in the sale. 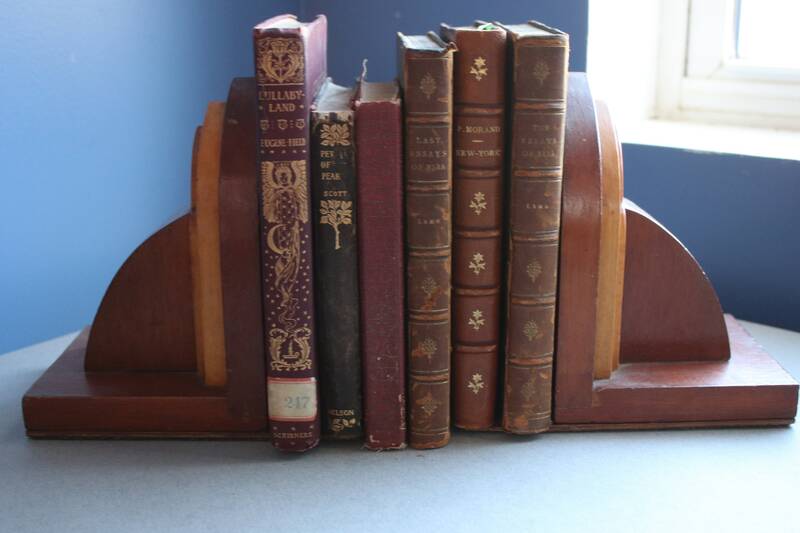 Only the bookends are for sale. 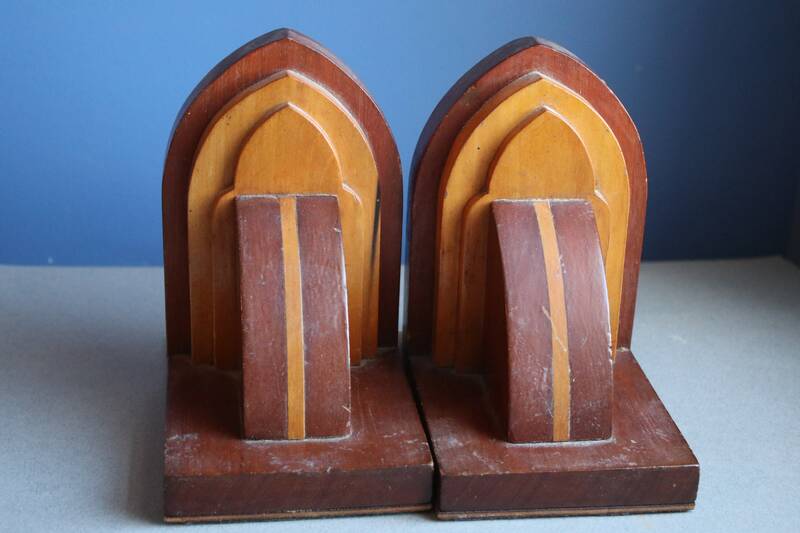 These Arts and Crafts style wood bookends are more than likely circa 1920s, made at the tail end of this era of design. 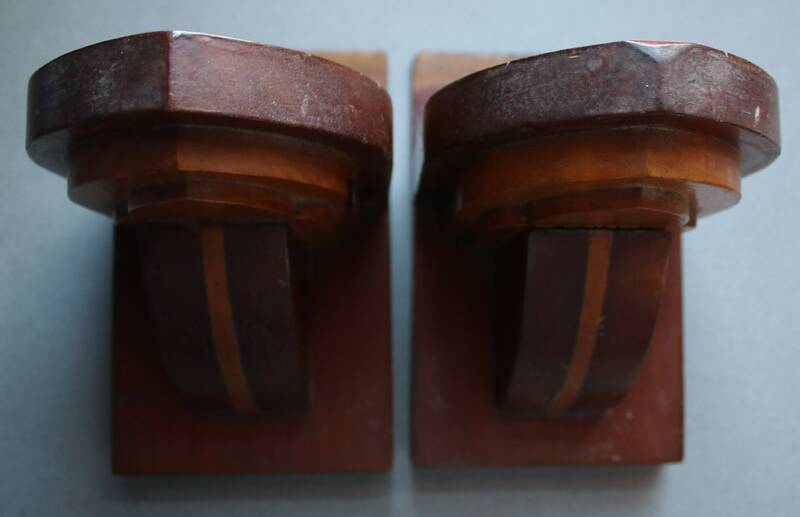 They can also be considered Craftsman, Mission, American Bungalow, or Prairie School style, and the design may have been influenced by Stickley, Greene and Greene, and/or Frank Lloyd Wright. The wood does have scratches and wear, which I've made an effort to show clearly in the photographs. Do let me know if you'd like more photos as I'll be happy to oblige. 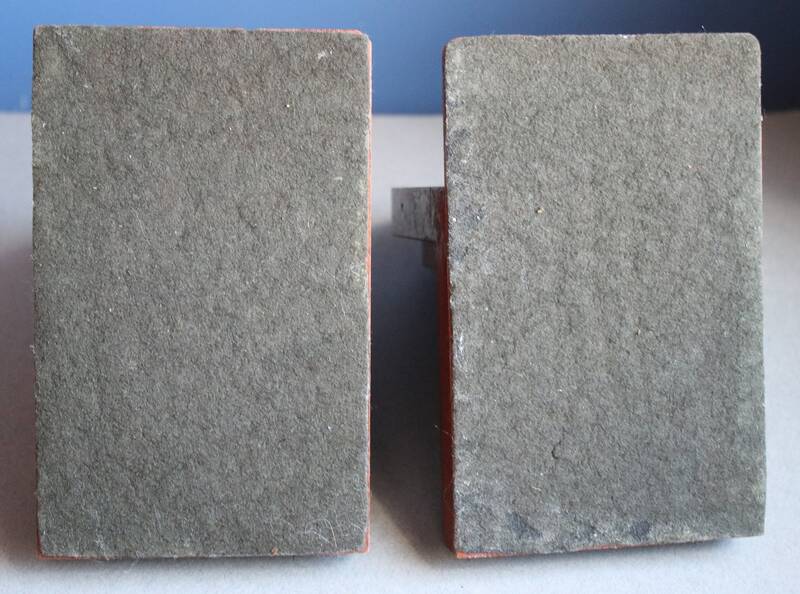 I've not cleaned these bookends but will leave this up to the discretion of the new owner. 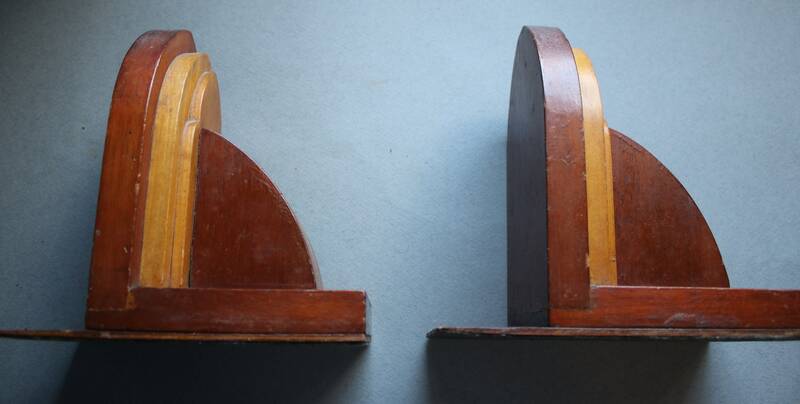 These bases of these bookends measure 6 1/2" x 4". 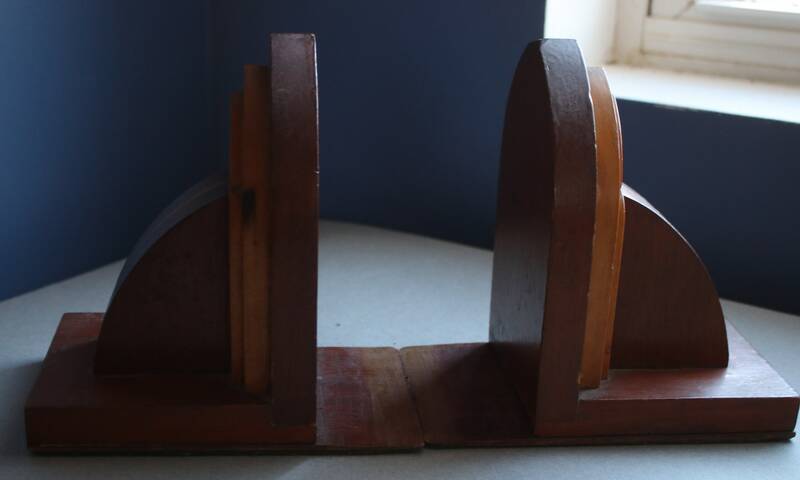 The height is 7 3/4" from the base to the top of the arch. They weight 15 ounces each. Your bookends will be shipped via Priority Mail. 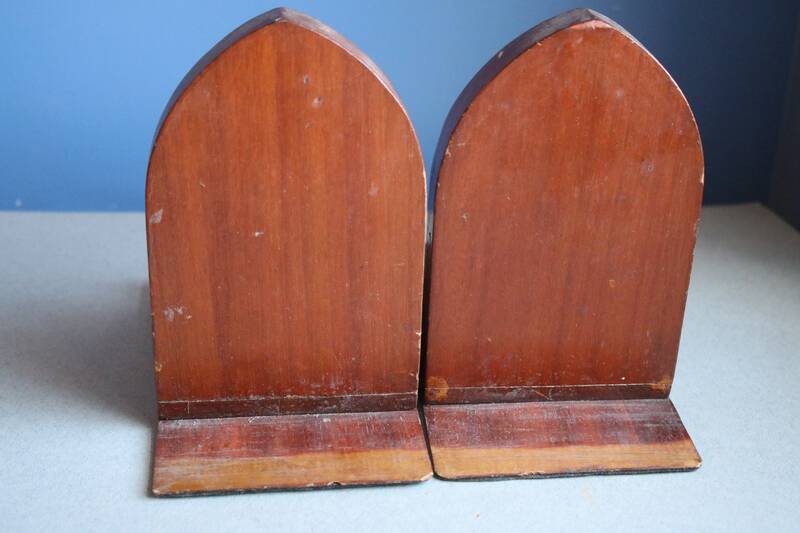 Any shipping overage of $1.00 or more will be refunded to you upon shipment of your bookends.